Khairat al-Shater’s health condition is deteriorating according to his family members. His heart muscle has enlarged alarmingly. He also suffers from serious illnesses including diabetes, low blood pressure, kidney stones and thyroid gland infection. The prison conditions have affected his health greatly. The prison administration sends al-Shater once in a week to have medical check-ups in the government al-Kasr al-Aini Hospital. He has requested to be transferred to Dar-al-Fouad Hospital which provides better health care, but his request was rejected despite the seriousness of his health condition. In an interview with IHRC, al-Zahraa, daughter of Khairat al-Shater, stressed that her father has the right to be free; “Our demands will not be limited to his transfer to another hospital. He must be freed”. Khairat al-Shater is one of the political detainees in Egypt. He is the Deputy-Chairman of the Muslim Brotherhood (MB) and a well-known Engineer and businessman. He has been imprisoned with no charges under the Emergency Law and completed in total 10 years of unjust detention since 1968. He was arrested and released many times during the 90s and rearrested in 2001. He was last arrested in 2005 under the controversial Emergency Law following the elections of the Parliament in which the Muslim Brotherhood won 80 seats in the Parliament. His detention along with other active members of the MB was part of the government’s policy to suppress the MB for their political activities and for being the strongest opposition in Egypt, according to political analysts. In 2005 the Supreme Court acquitted al-Shater and ordered his release; however, he was then referred to a Military Tribunal where he has no right of appeal against its decisions. The Working Group on Arbitrary Detention (WGAD) stressed in its opinion in 2008 that the detention of Khairat al-Shater and others detained with him is arbitrary because it is in “contravention of articles 9, 10 and11of the Universal Declaration of Human Rights and articles 9 and 14 of the International Covenant on Civil and Political Rights…opinion 27/2008 (Egypt) adopted on 12 September 2008, para85]. It has also announced its opinion recently and requested the Egyptian government to “take the necessary steps to remedy the situation and bring into conformity with the standards and principles set forth in the Universal Declaration of Human Rights and the International Covenant on Civil and Political Rights”. The long years of imprisonment has greatly affected the health of Khairat al-Shater along with the dreadful prison conditions. He is suffering from enlarged heart muscles, diabetes, low blood pressure, kidney stones and a thyroid gland infection which require regular medical treatment. The administration of the prison have rejected his request to be treated in Dar-Al-Fouad Hospital and decided to carry on his treatment in al-Kasr Al-Aini, a government hospital. His family are very concerned about his health and demand his immediate release. Egypt is a state party to the International Covenant on Civil and Political Rights (ICCPR), ratified in 1982. Article 9 the ICCPR guarantees right to security and liberty of person; “No one shall be subjected to arbitrary arrest or detention. No one shall be deprived of his liberty except on such grounds and in accordance with such procedures as are established by law” and “anyone arrested shall be informed of the reasons for his arrest and shall be promptly informed of any charges against him”. 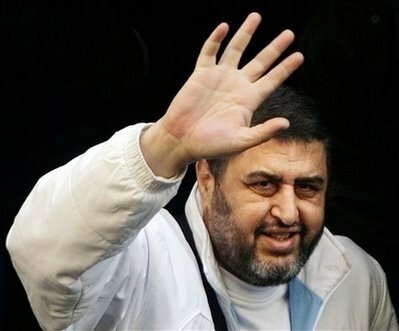 I would like to draw your attention to the case of Khairat al-Shater, the Egyptian citizen and Deputy-Chairman of the Muslim Brotherhood. He is also a well-known engineer and businessman and is well-respected in his community. Khairat al-Shater has served almost 10 years in unjust detention since 1968. He was arrested and released on various occasions in the 90s. In 2005 he was re-arrested under the Emergency Law. Despite the fact that the Supreme Court ordered his release, Egyptian security officials referred him to a Military Tribunal where there was no recourse for appeal. Khairat al-Shater seriously suffers from deterioration in health conditions. The Working Group on Arbitrary Detention (WGAD) has already issued a statement condemning his detention as being in flagrant breach of “articles 9, 10 and11of the Universal Declaration of Human Rights and articles 9 and 14 of the International Covenant on Civil and Political Rights…opinion 27/2008 (Egypt) adopted on 12 September 2008, para85].” The Egyptian government has nonetheless continued in its arbitrary detention of Khairat al-Shater. Egypt is a state party to the International Covenant on Civil and Political Rights (ICCPR), ratified in 1982. The Covenant guarantees the right to security of person and liberty; “No one shall be subjected to arbitrary arrest or detention. No one shall be deprived of his liberty except on such grounds and in accordance with such procedures as are established by law” and “anyone arrested shall be informed of the reasons for his arrest and shall be promptly informed of any charges against him”. We ask you to make representation on behalf of Khairat al-Shater and urge the Egyptian government to release Khairat al-Shater immediately and unconditionally, particularly, at a time when he suffers serious ill-health without any access to sufficient healthcare. We ask you to make a representation on behalf of Khairat al-Shater and urge the Egyptian government to release Khairat al-Shater immediately and unconditionally, particularly, at a time when he suffers serious ill-health without any access to sufficient healthcare. We urge you to take necessary actions to release Khairat al-Shater immediately and unconditionally, particularly at a time when he suffers serious ill-health without any access to sufficient healthcare. Khairat al-Shater has served almost 10 years of unjust detention since 1968. He was arrested and released on various occasions in the 90s. In 2005 he was arrested under Emergency Law and even though the Supreme Court ordered his release he was referred to a Military Tribunal where there was no recourse for appeal. Khairat al-Shater suffers from a serious deterioration in health. The Working Group on Arbitrary Detention (WGAD) has already issued a statement condemning his detention as being in contravention of “articles 9, 10 and11of the Universal Declaration of Human Rights and articles 9 and 14 of the International Covenant on Civil and Political Rights…opinion 27/2008 (Egypt) adopted on 12 September 2008, para85].” The Egyptian government has nonetheless continued in its policy of arbitrary detention. We urge you to pressure the Egyptian government to take the necessary actions to release Khairat al-Shater immediately and unconditionally particularly at a time when he suffers serious ill-health without any access to sufficient healthcare.